Dialect - Loose Blooms. Vinyl LP. Bleep. 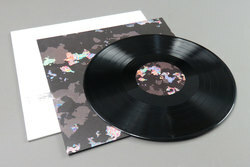 Forest Swords' Dense Truth imprint debuts the first vinyl offering from Dialect. 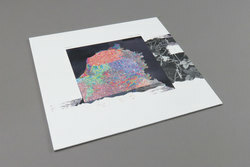 Having previously released a high profile album for 1080p, Dialect's Loose Blooms sees the artist weaving an album of mossy textures that criss-cross between the influence of Arthur Russell, Tim Hecker and Brian Eno to create something that Forest Swords dubs Mersey ambient. Loose Blooms blends some finely tuned yet damp with an earthy organic feel, audio recordings with studio techniques well schooled in the outer reaches of library electronica. 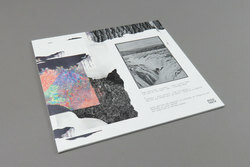 The location of these recordings, said to be pieced together during drizzly late nights above a club in Liverpool’s nightlife district, feeds into the record's overall tone, giving a well-explored sound a fresh feeling that places it in alignment with the hauntology deconstructions of recent Rainforest Spiritual Enslavement, Folklore Tapes and Space Afrika records. While it is very much indebted to this radiophonic landscape, the Arthur Russell influence is perhaps the most strong. Taking in heavily processed cello, and placing it afloat an ocean of synthesised mutations and fizzing pads, all of this and more come together to form a weathered collage of engrossing effect. As a whole, it feels very much a part of the same world that Forest Swords Dagger Paths stemmed from, so for all interested in treading that path again, there is much lay in wait for you here.